Facebook Inc. quickly concluded it wasn't worth anywhere near the $15 billion market value implied in a 2007 investment made by Microsoft Corp., according to confidential information obtained Wednesday from court documents. In a transcript of a June court hearing that was closed to the public, lawyers arguing over a legal settlement revealed Facebook's own appraisal had priced its privately held stock at $8.88 per share, giving it a market value of about $3.7 billion. The Palo Alto-based company relied on the appraisal to value employee stock options fairly and avert possible tax problems. Facebook, which runs the Internet's largest social network, made the assessment after striking an October 2007 deal with Redmond, Washington-based Microsoft. As part of a broader advertising partnership with Microsoft, Facebook agreed to sell a 1.6 percent stake to the software maker for $240 million. The Microsoft investment implied Facebook's stock was worth $35.90 per share - a figure that was relied upon in the settlement of a lawsuit that accused the company's founder, Mark Zuckerberg, of stealing the idea for his online hangout from three former classmates who started another social network called ConnectU. Facebook spokesman Barry Schnitt declined to comment on any of the figures obtained from the court documents. Microsoft had no immediate comment. In last June's court hearing, Facebook's lawyers argued the company's appraisal of its common stock couldn't be held up as an apples-to-apples comparison with the Microsoft investment because the software maker bought Series D preferred stock. Microsoft also had an incentive to pay a premium for Facebook's stock because it wanted to deepen its ties to the company's popular Web site, whose worldwide audience of 150 million people could eventually attract billions of dollars in advertising. Analysts believe Facebook generated somewhere between $250 million and $300 million in revenue last year. 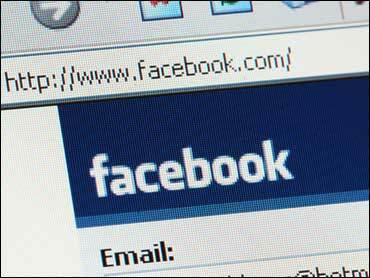 Lawyers opposing Facebook said the company cited the $35.90 per share figure in the settlement negotiations. Zuckerberg's former classmates - Divya Narendra and twins Tyler and Cameron Winklevoss - balked at settling the case last March after learning Facebook determined its common stock was worth about one-fourth of the value derived from Microsoft's investment. U.S. District Judge James Ware decided to enforce the settlement despite ConnectU's contention that it had been misled about the true value of Facebook's stock. ConnectU's resistance to the settlement triggered widespread speculation about how much Facebook's stock is really worth. Facebook fought fiercely to keep the details of its market value and the ConnectU settlement under wraps. Before last June's hearing, Facebook lawyers persuaded Ware to remove reporters from a San Jose courtroom so the final details could be hashed out in private. Large portions of that hearing are redacted in a transcript of the June hearing, but The Associated Press was able to read the blacked-out portions by copying from an electronic version of the document and pasting the results into another document. Under their settlement, Facebook agreed to pay ConnectU $20 million in cash and 1,253,326 shares of common stock. The stock was worth $45 million, based on the Microsoft valuation, but only $11 million under Facebook's own appraisal. That means ConnectU received anywhere from $31 million and $65 million for settling the suit, depending on which stock valuation is used. Facebook's stock probably is worth even less now because of a severe recession that has decimated the values of companies around the globe. The $65 million settlement amount has been reported in the media this week, based on information that was inadvertently leaked by a law firm that represented ConnectU in the case against Facebook. The firm, Quinn Emanuel Urquhart Oliver & Hedges, boasted about the $65 million figure in a newsletter that was obtained this week by The Recorder, a legal publication. ConnectU fired Quinn Emanuel before Ware signed off on the Facebook settlement.